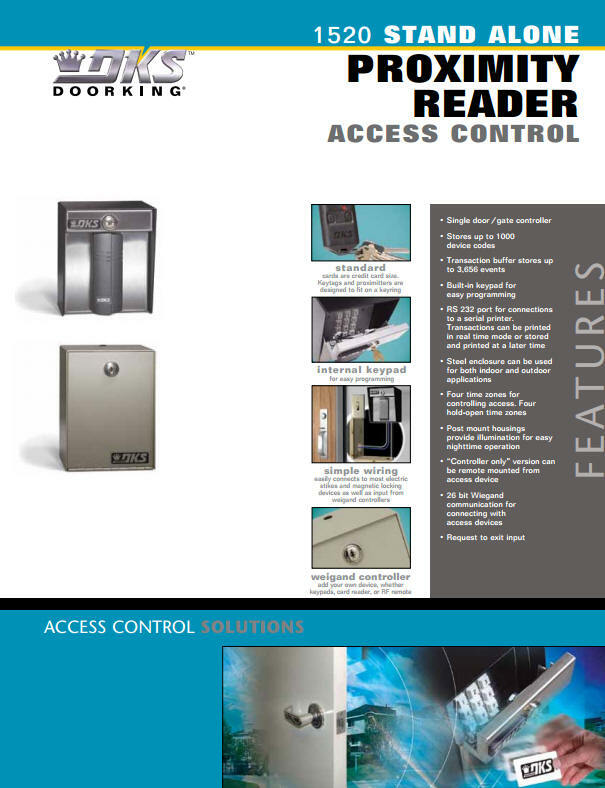 The model 1520 provides users with a full feature single door stand-alone access control system. The 1520 is available with a built-in proximity card reader or can be ordered as a single door controller allowing the user to add their own 26-bit access control device. The 1520 is available in two configurations: with a built-in card reader or as a single door controller only. 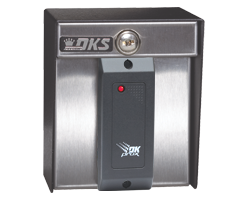 Contact your professional DKS system installer for more information about this and other DKS products.